about this book: Sometimes the truth is stranger than fiction. The Dream Detective Series is a 'Who Done It' murder mystery series based on true events but written as fiction to protect the innocent and even the guilty. The Dream Detective Series is based on the dreams and intuition of Abigail Morrison, self-made psychic detective solving the mysteries of the victims that she meets in dreamland. Except the victims that she meets and need her help, really did once upon a time live and breathe on planet earth, and really do have unfinished business with their abuser. Abigail is just the one who can help the spirits who are trapped in limbo fix what their abusers broke leaving them wandering souls. Abigail Morrison is intuitive and she heard the word, "Murder" drop from the cosmos and into her mind, and she knew that she had to connect the dots. 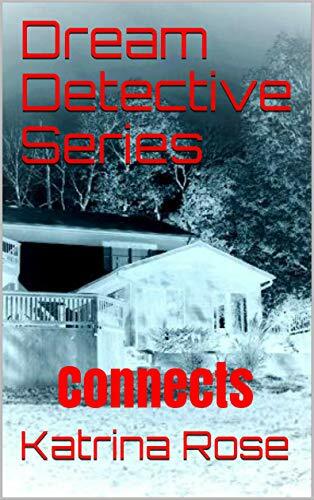 'Connects' is Book 1 of the Dream Detective Series and is a supernatural 'Who Done It' murder mystery based on Abigail Morrison's dreams of a drug dealer, his wife found dead on the railroad tracks, and the psychic premonitions that help her solve the 19 year old mystery in the sleepy town of Gardner. Based on true events the story has been written as fiction to protect the innocent and even the guilty. Sometimes the truth is stranger than fiction. • "From the first page I was fascinated. I just wish I knew what is fact and what is fiction. I enjoyed reading." • "A MUST READ TO ALL! Will open up your eyes on what is going on in our world."